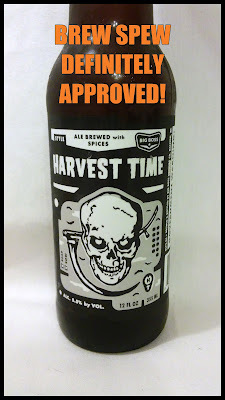 Jared Unzipped: Brew Spew 2015 Part 3: Big Boss Brewing Harvest Time Ale. Brew Spew 2015 Part 3: Big Boss Brewing Harvest Time Ale. In this week's installment of the Brew Spew 2015, I'll be featuring a beer from a local brewery located right here in North Carolina. 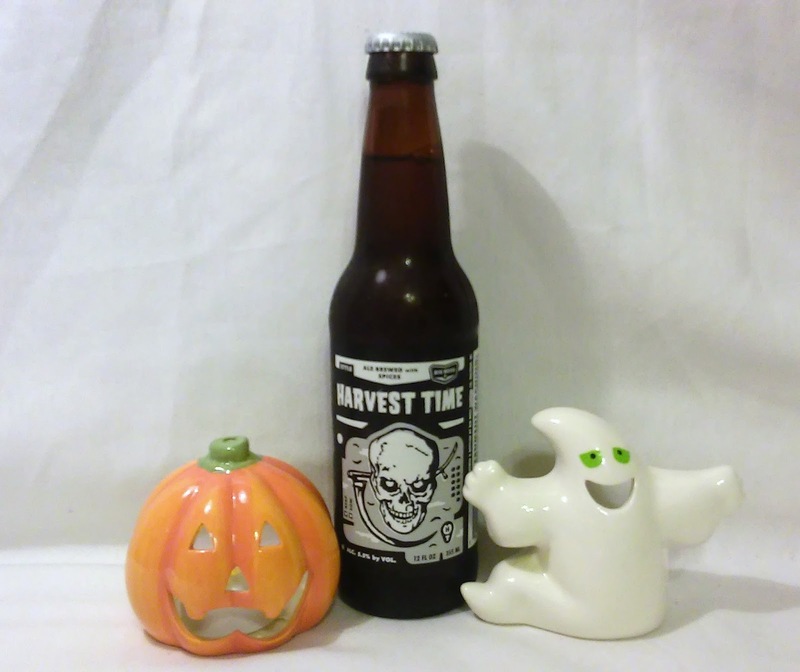 The third beer in this series will be the Harvest Time Ale from Big Boss Brewing. Big Boss is located in Raleigh, North Carolina. They've been in operation since 2006. While still a relatively young brewery, they've achieved a fair amount of success in North Carolina. Almost every bar or restaurant I've visited in my travels throughout the state has had at least one of their beers on tap. They host many events at their brewery throughout the year, as well as sponsor numerous outings like their run club. The Big Boss Tap Room (open daily), is a popular social spot located at the brewery where you can taste all of their beers fresh from the source. The Harvest Time Ale is 5.5% Alc. by volume and available annually during September and October. As with all of the beers I taste test in the Brew Spew, I will provide a real time set of notes divided into two categories. These were written as I was drinking the beer for the first time. If I like the beer, I'll tell you. If I don't like the beer, I'll tell you that as well. Let's get started, shall we? Nutmeg and cinnamon smell is quite fragrant the moment after I poured the beer into a glass. Has a murky golden color. I can readily taste the pumpkin flavor with the first sip. It is not bitter and has an easy finish. There is no strange aftertaste whatsoever. Very little foam with a light level of carbonation. I don't readily taste the spices, but can detect their fragrance in my nose after I swallow. Even though this is an ale, it tastes much like a light lager mixed with pumpkin flavor. An easy to drink, refreshing beer that doesn't try too hard. The pumpkin flavor has become a great deal stronger. Not bitter at all, thankfully. Still very easy to enjoy as I swallow. Much to my delight, the beer tastes a great deal like a slice of pumpkin pie. In fact, after swallowing, I could swear I'd just eaten a piece! The smell of the spices has somewhat softened. Alternatively, the taste of the spices has gone up dramatically. I can readily detect the nutmeg and cinnamon on the tip of my tongue the moment it hits my mouth. All in all, the Harvest Time Ale was a particularly satisfying seasonal beer. It delivered just what a seasonal pumpkin-flavored beer should, with no added flair or gimmicks. I'm quite impressed with the Harvest Time Ale. It provided a memorable taste whether cold or at room temperature, which is a signifier of high quality in my opinion. It's a shame Big Boss doesn't produce Harvest Time Ale year-round! If you happen to live in the Raleigh area, visit the brewery and partake in the Big Boss Harvest Time Pumpkin Festival on October 29, 2015 between 4 and 10 PM. They'll be hosting a pumpkin carving contest, as well as debuting a bourbon barrel aged version of Harvest Time. I've got to get me some of that!